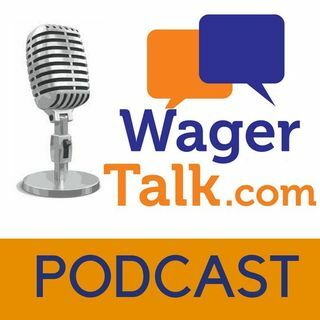 Free sports picks, sports betting tips, sports predictions and betting odds on the biggest sporting events direct from Vegas and our sports handicappers from WagerTalk.com. Marco D’Angelo has been a professional sports handicapper and bettor sharing his nfl picks, baseball picks, basketball picks and sports betting information tips since 1980. Marco moved to Las Vegas in 2008. During the 2010 Baseball Season Marco made handicapping history when he won a documented 25 Baseball Games in a row. What was even ... Más informaciones more impressive was the fact that he never laid more than -120 in any of the 25 plays. The 25 game winning streak, was documented by the Sports Monitor of Oklahoma City, Oklahoma. Marco is a 2 Time winner of Preferred Picks Wise Guy Football Contest. Marco's signature play is his College Football Game of the Year as Marco has gone 26-8 with this game over his 34 year career. Marco has been featured as a guest handicapper on several radio shows as he has been on ESPN regional and national shows, Yahoo Sports Radio, Sports Overnight America, as well as appearing on shows covering regional teams in both College and Pro sports. Marco was co-host of a successful Las Vegas Show for several years. Marco is also the go to guy for Horse Racing information from media outlets. A Las Vegas sports betting radio show featuring Dave Cokin @davecokin, Marco D'Angelo @MarcoInVegas @teddy_covers, Ralph Michaels @CalSportsLV and Matt Youmans @mattyoumans247 airing weekdays from 2-3pm PST on ESPN Radio Las Vegas. Make sure to tune in Monday thru Friday heading into the games that night as the Sportsline crew break ... Más informaciones down sports from a Las Vegas betting perspective.